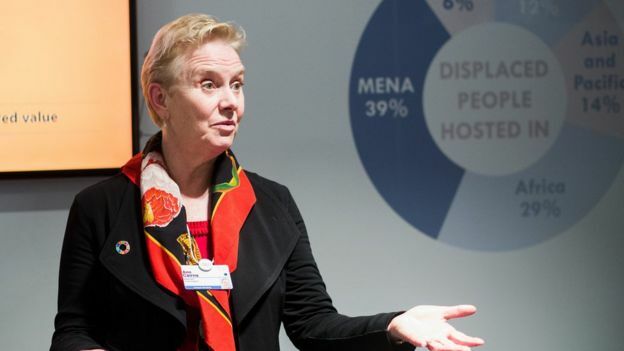 When Ann Cairns’ husband was introduced to Joe Biden at the World Economic Forum (WEF) in Davos, the former US vice president assumed that he was the executive he was meant to be meeting. But Mrs Cairns is the vice chairman at financial services giant Mastercard, not her husband. It was an easy mistake to make, she admits. Her husband, a retired geography teacher, is tall and imposing – the stereotypical image of a leader. At 5ft 4in (163cm), Ann is relatively short and, of course, a woman. It may be 2019, but over a year after #MeToo turned rapidly from a campaign against sexual harassment and sexual assault into a broader movement highlighting gender inequality, little seems to have changed. 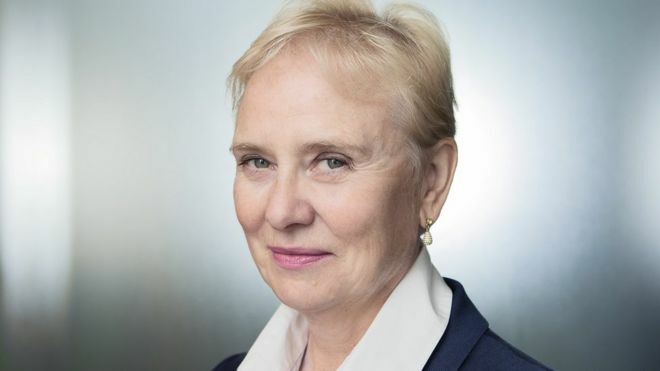 Senior women at the top of global companies like Ann are still rare. This year at the annual gathering of the political and business world elite, just 22% of attendees are women, up from 20% two years ago. Progress is painfully slow, despite a quota system for large firms that forces them to bring one woman for every four male attendees. It’s an imbalance that reflects the situation in the broader corporate and political world. 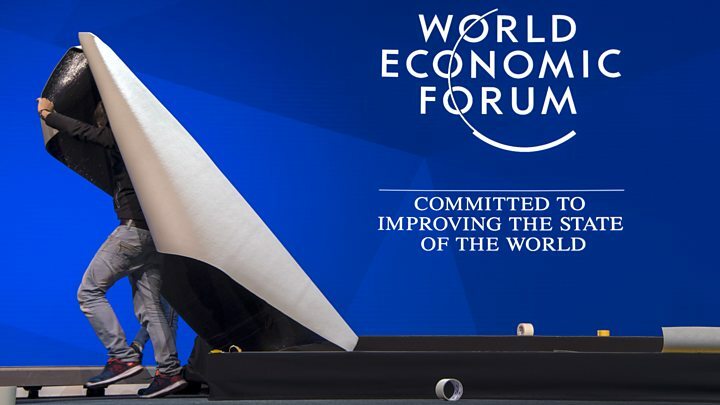 At the current rate of progress, it will take 108 years to close the gender gap and 202 years to achieve parity in the workforce, according to the World Economic Forum’s latest global report. At Mastercard, one practical way the company has tried to shift perceptions is by standardising paternity and maternity leave globally. Introduced two years ago, men are entitled to two months on full pay under the scheme, and women, four months. Statistics from its first year in 2017 showed 70% of the leave available to men was taken up. Questions over whether someone due to be appointed may take time off for children now apply to both men and women. “Everybody is in the same boat,” says Mrs Cairns. She started out in business as the first female engineer to work on offshore oil and gas rigs in the UK. Despite the slow progress, she says firms are addressing inequality more effectively than in the past. Crucially, instead of women “preaching to the choir” at female-only networking events, men are being involved in the discussion more often. It’s a shift she believes will really help drive change. Five years ago, at cloud computing giant Salesforce, chief executive Marc Benioff questioned why there were so few women at senior management meetings. He subsequently insisted that a third of the staff attending must be female. 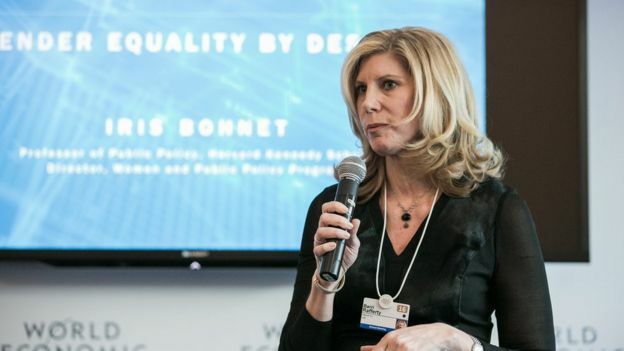 The shift enabled Cindy Robbins, who worked in the HR department, to meet Mr Benioff and suggest an equal pay audit, something which is not mandatory in the US. When Mr Benioff asked her if they had a problem, she said she didn’t know. It’s been an expensive reckoning. So far the firm has paid about $9m (£7m) to even out the gap across its 33,000-strong workforce. Salesforce has now done the audit three times, last year also looking at race and ethnicity. “We’re trying to get better at it every year. Unless you can say your processes are perfect, it will never be completely solved,” says Ms Robbins, who is now the firm’s chief people officer. While most people assume they are not biased and make fair decisions, she says providing hard data has been a powerful motivator for change. As well as the annual pay audit, the firm now collects figures on the gender split of promotions and new hires. Nonetheless, Salesforce, like most tech companies, remains male-dominated. At the end of last year, less than a third of its staff were female, despite hiring 4,000 women. Barri Rafferty, the chief executive of global public relations firm Ketchum, says she’s surprised that the battles she thought would have ended with her mother’s generation, are continuing. Like Mrs Cairns, she too was mistaken – several times – at Davos for an accompanying spouse, rather than a participant, but believes growing awareness means such mistakes are becoming less likely. She says finding out the truth about your organisation, rather than what you think is the truth, is important. “Every organisation needs to stop and take a look at their culture and not downplay any concerns,” she says. Ketchum itself has created an external advisory board to bring in fresh advice and insight into its culture. It also conducts regular short surveys of staff about how they feel about promotion opportunities, pay, and the firm generally. Diversity isn’t just about doing the right thing, it makes commercial sense. A report from management consultancy McKinsey, covering 366 public companies in a variety of countries and industries, found those that were more ethnically and gender diverse performed significantly better than others. 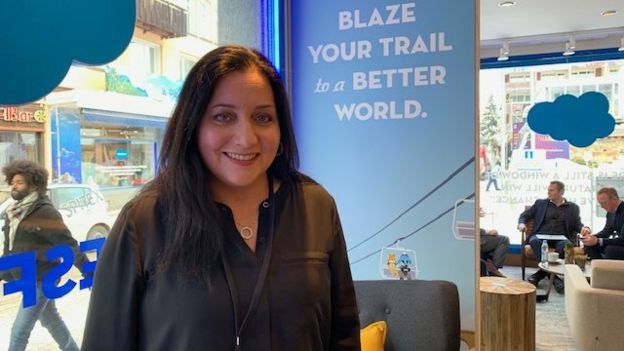 At Davos, she says gender equality has been embedded into broader themes around education and the future of work, a shift from the outpouring of anger after #MeToo which she believes will prove more constructive. Now she says men at firms have to be willing to put their reputation on the line to improve the situation. “Women tend to be over-mentored and under-sponsored,” she says. In other words, women tend to be given advice rather than opportunities. Despite all the depressing statistics, there is one that suggests the future may not be quite so gloomy. This year at Davos, over half of the so-called “young global leaders” – 100 people under the age of 40 invited to WEF each year – are women.